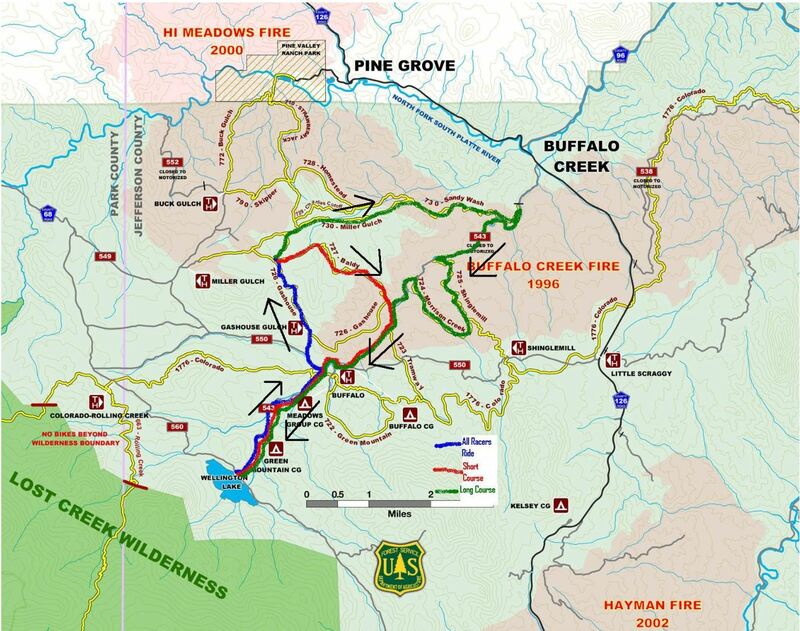 Southwestern Jefferson County has been the site of multiple large fires over the past 20 years, Buffalo Creek (1996), Hi Meadows (2000), Hayman (2002), and the Lower North Fork (2012). 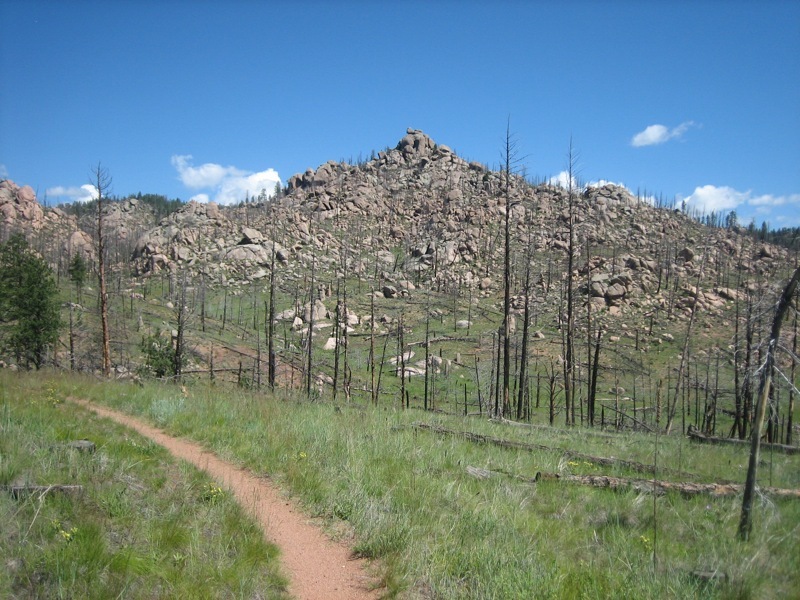 The Buffalo Creek Fire, through which the BMB Time Trial runs, burned almost 12,000 acres, the result of many years of fire suppression and very high fuel loads of dead branches and undergrowth. 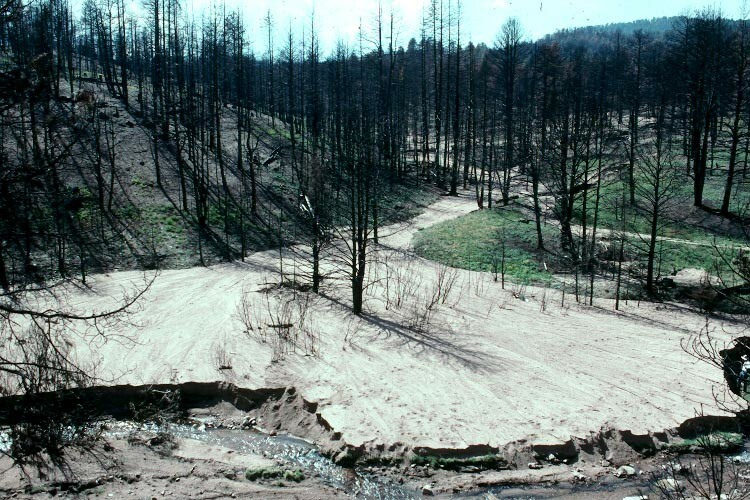 Two months later, it rained leaving behind a mess of mud, burned trees, and a weird lunar landscape. Sixteen years later, the Buffalo Creek area looks better, with new undergrowth and the beginnings of new, small trees. It still has fabulous mountain biking, but I didn’t know there was a time trial there you could do on a mountain bike. The Burn TT is back after a two year absence. If you love pain and suffering and bleeding out through your lungs in the midst of beautiful scenery, this one’s for you. There’s a short course (14 miles) and a long course (22) and both presumably have a fair amount of elevation gain. I’m guessing around 3,000 feet for the long course. This year’s version goes off in just a few short days (Saturday June 2) and space is limited so get your spot before it is too late. Organized and sponsored by Team Evergreen Racing, the same fine people who organize the Triple Bypass. Funny though, the mountain bike people seem to have a better sense of humor. I would probably ride a mountain bike more if it didn’t require so much driving time. But I just like to hop on my bike and go. Maybe if I lived in Crested Butte or closer to the foothills. 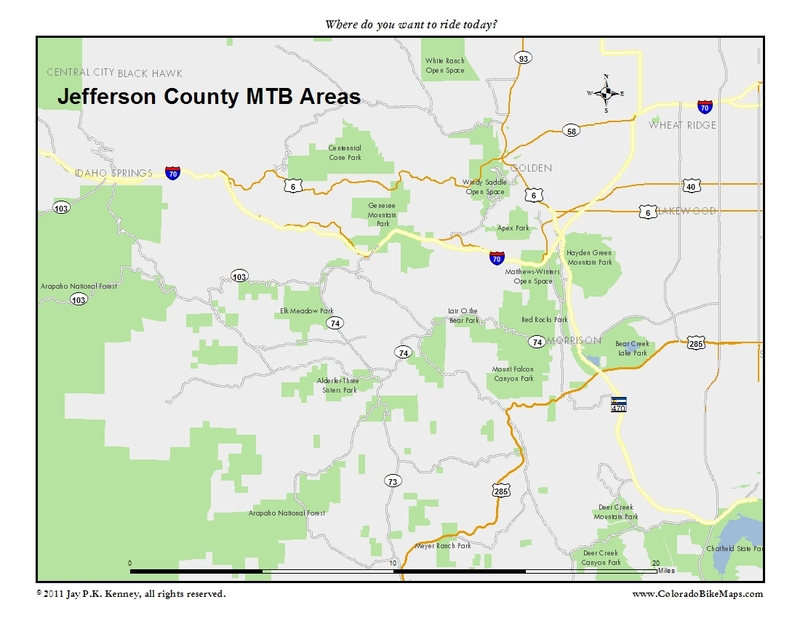 But for those new to the Denver area, this map shows a few of the Jefferson County Parks and areas that offer MTB opportunities. Links below will take you directly to the individual maps. For directions and very detailed park information, please visit the Jefferson County Open Space page. For some of the parks this is crucial, as management plans in place sometimes limit biking within a particular park to every other day on the weekends. In others, there’s no bikes allowed at all. And in still yet others, you can only go one direction on certain days. For all the management complexity, this is an extraordinary resource to have so close to the metropolitan area. And it does not even begin to touch the opportunities that open up in and around Waterton Canyon (currently closed for sediment removal from Strontia Springs Reservoir), Arapahoe National Forest and elsewhere. And don’t forget some of the the great guidebooks available: Denver & Front Range, area specific, and statewide. The web offers some interesting options, too. Check out Mountain Bike Project, a partnerhsip with IMBA for solid but not complete statewide coverage.